Only the National Football League can win big after an international game in Mexico was canceled. The highest scoring Monday Night Football game in history was played before the backdrop of Hollywood in Los Angeles at the historic Coliseum: Los Angeles Rams 54, Kansas City Chiefs 51. The Rams improved to an NFL-best 10-1, winning the showdown of 9-1 teams on MNF. 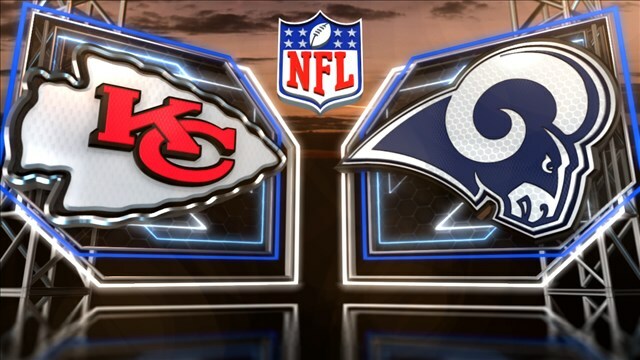 After 773 Monday night games, the Rams and Chiefs exploded for a record 105 points, the third-highest scoring NFL game ever. It was the first time that either team scored 50 or more points in an NFL game. The highest scoring games ever were Washington’s 72-41 victory in 1966 over New York and Cincinnati’s 58-48 win over Cleveland in 2004. So far this season, teams have lost four times while scoring 40 or more points. That’s the most in the history of the NFL since 1969. Quarterback Pat Mahomes leads the NFL with 37 touchdown passes. He’s the first quarterback to throw six touchdown passes in an NFL Monday Night Football game. Rams quarterback Jeff Goff threw for 413 yards and four TD passes and ran for another. The QB ratings for both quarterbacks were outstanding. Mahomes, who threw for 478 yards, had a 117.6 rating; Goff had a 117.1 rating. The lights in Las Vegas are not as bright tonight. The Rams were a -3 favorite, so whoever you bet on to win with sports books, you lost the juice. The record over-under was 64, the third-highest ever for an NFL game; 69 percent of the wagers on the game were for the over 64. The final was 54-51, which was 105 points combined. There are big losses in Las Vegas when they pay out to nearly 70 percent of those who took the over. Fourteen touchdowns were scored in the Monday Night Football game. The Buffalo Bills have scored only 13 touchdowns this entire season. The Rams, who are 10-1, have the best record in the league despite losing to 9-1 New Orleans. The Rams also beat the Vikings 38-31 in September. The 5-4-1 Vikings are home Sunday at U.S. Bank Stadium at 7:20 pm, another prime-time NBC game. They’ll play the 4-5-1 Green Bay Packers after losing Sunday 25-20 to 7-3 Chicago. The Vikings, with six games left, have little margin for error.